Fabric displays offer an effective and realistic alternative to traditional PVC and vinyl display stands. 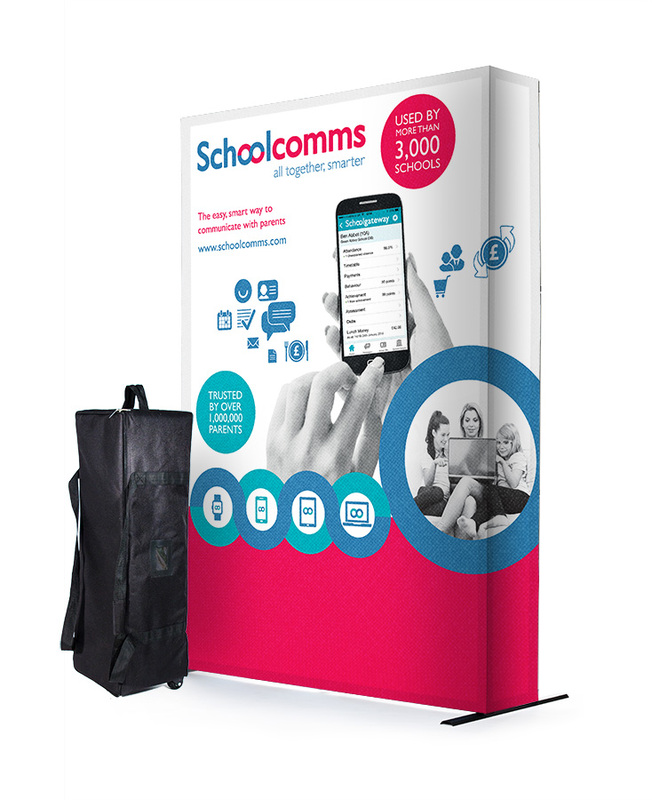 Whilst traditional displays will always be popular, fabric is something fresh and new and will help you stand out at your next exhibition in a sea of pop-ups and roller banners. With improvements in raw materials and print technology, fabric displays are now a viable alternate choice. They provide a seamless display as the artwork is printed onto one piece of fabric so your display does not have joins like a stand with PVC graphic panels. Our Portable Fabric Displays are available with a range of hardware systems. Formulate is our widest range with straight and curved stands, hanging displays, arches, counters and meeting pods. Hop Ups are perhaps our easiest fabric stand to use – the graphic stays attached to the frame which simply pops up and stretches the graphic into place. 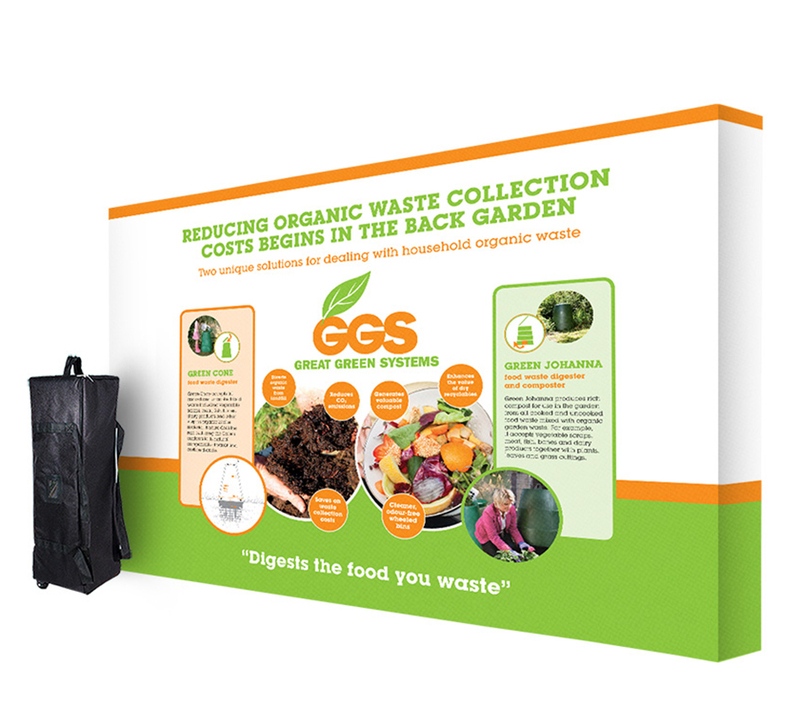 SEG fabric displays combine the ease of a pop up frame with the style of a fabric graphic panel. With improvements in technology and print processes fabric can now be printed to the same high standard and sharpness as hard display material. Our fabric displays are printed in full colour onto display polyester using a process called dye sublimation. Heat and pressure are applied to transfer ink directly into the weave of the fabric. This results in permanent, high-resolution print to photo quality standard. As the print is within the fabric, rather than on top, it will not rub off, peel, crack or fade. The fabric is durable and is also non-reflective so will be clear to see no matter what lighting is like at an exhibition venue. Fabric graphics can be folded up without fear of damage, and, because the fabric is tensioned it will stretch out any creases or folds when in use. Our fabrics graphics can also be machine washed on a 30oc cycle. This means you can keep your graphics bright and in great condition for every time you need them. 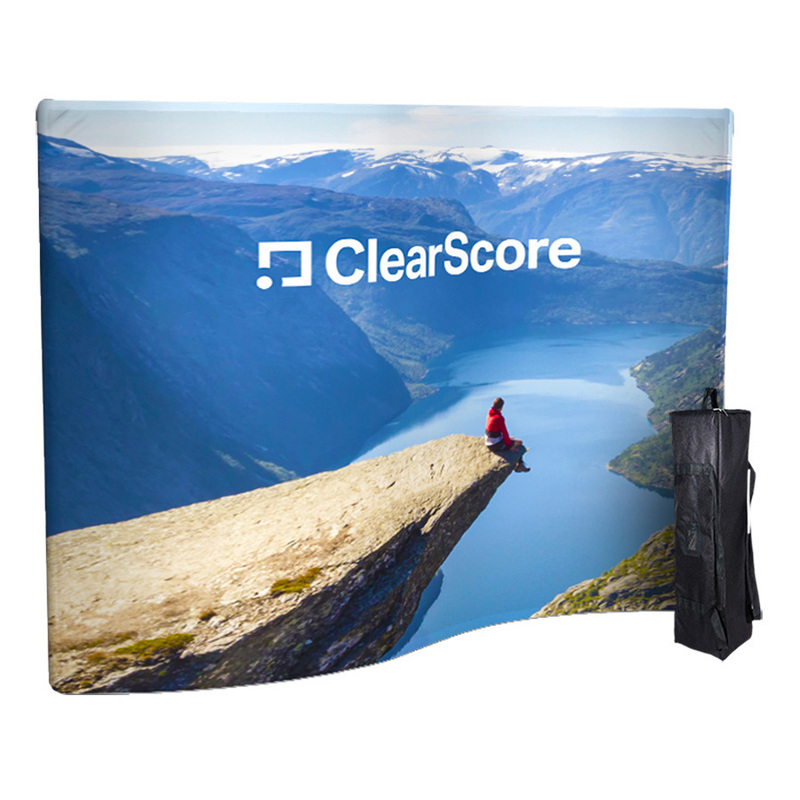 All of our fabric exhibition stands are portable and each comes with a carry case included. The case will fit all elements of the stand so, even with one of the larger Formulate displays, you only have one case to transport – ideal for using at multiple events throughout the year. Our fabric displays are also easy to store in the case until your next event. All of our fabric display systems are easy to assemble. The Formulate range is based on a tubular aluminium frame which clicks together. The fabric graphic ‘sock’ slides over the frame and fastens with a zip at the base. Our hop up and SEG fabric stands are based on pop up frame hardware. For a hop up, the fabric graphic stays fixed to the frame with Velcro. As the frame ‘pops up’ the graphic is stretched into place resulting in a taut, crease-free display. When it comes to packing away simply unlock the frame and fold away into the carry bag provided – simple! SEG fabric stands also use a pop-up style frame. The frame is assembled first and channelling bars are fixed to the edge of the frame. The fabric graphic has silicone edging sewn around its borders and this plastic edge pushes into the channels on the frame to pull the graphic tight creating a display which does not sag and is crease-free. Assembly of our fabric displays can be done by one person in minutes, although with the larger stands it would be easier with a minimum of two people. Our fabric displays are available in a wide variety of sizes from a 600mm Wide Banner to a 6m Wide Exhibition Stand and everything in-between. For example, the Formulate Straight Display Stand is available in widths of 2400mm, 3000mm and 6100mm, all with single or double sided graphics. We also offer a choice of shapes from straight to curved, snake-like serpentine to arches, pods and hanging displays. If you want fabric accessories we can offer Fabric Counters which follow the same setup principles as their display stand equivalents. For example, the Hop Up Counter has a popup frame with the fabric wrap attached which pulls into place once the frame is open. For more information on our fabric exhibition displays and what a difference a fabric stand could make to you and your business, please contact us or call 01733 511030. To view our full range of bestselling fabric pop up display stands - including SEG and Hop Up exhibitions - head over to our fabric pop up displays page.